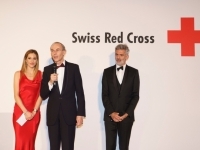 The Swiss Red Cross (SRC) celebrated its 150th Anniversary with an elegant, star studded, extravagant gala at Badrutt's Palace Hotel in St. Moritz, Switzerland. 350 invited dignitaries and international guests donated over 830,000 Francs for water projects in developing countries. Over the past 10 years, the Red Cross movement has given more than 15 million people access to clean water and sanitary facilities. The Global Water & Sanitation Initiative launched by the International Federation of Red Cross & Red Crescent Societies as part of the UN Decade 2005, has a projected goal to increase access to water sources by 2025 for another 15 million people. 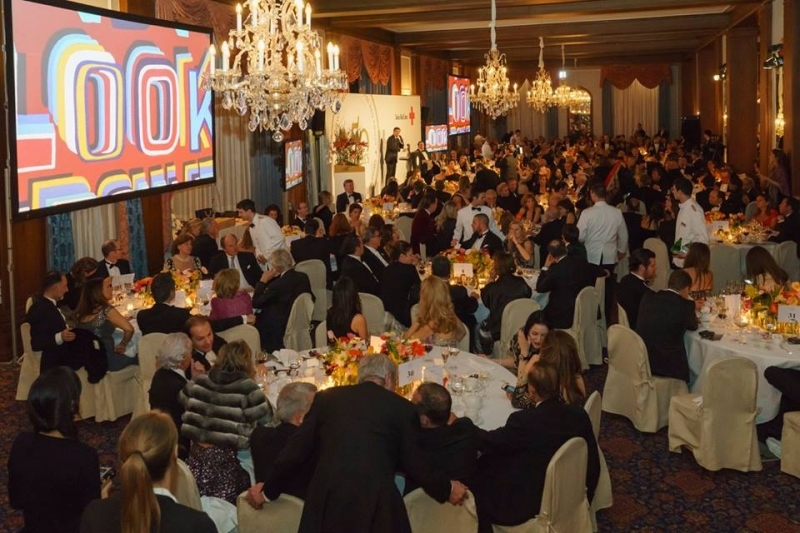 Auction proceeds of the St. Moritz Gala will especially benefit disaster victims in Nepal where over 9,000 people were affected by a magnitude 7.8 earthquake April 2015 and are suffering of water shortages. According to data obtained by the Swiss Red Cross, 750 million (current estimated world population of 7 billion), have no access to even a minimum amount of clean water. This means that they have under 20 liters a day – less than half of what we use for our morning shower. 2.5 billion, one-third of the world's population has no or insufficient sanitary facilities, such as latrines and toilets. Every 20 seconds a child under 5 years old dies from a diarrheal disease due to contaminated water and a lack of hygiene. 5 billion working days are lost to illness caused by a lack of hygiene and 440 million school days are lost because so many children fall ill due to a lack of hygiene. In her opening remarks, SRC President Annemarie Huber-Hotz emphasized the importance of "daily access to clean water for the poorest and most vulnerable in the world, especially in Nepal. We run these programs in Nepal to help people who struggle for survival every day. 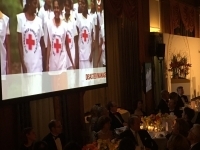 For many of them, the Red Cross is their only hope for better long-term prospects. " “My two adopted daughters were born in Nepal, so this country is very important to me personally. 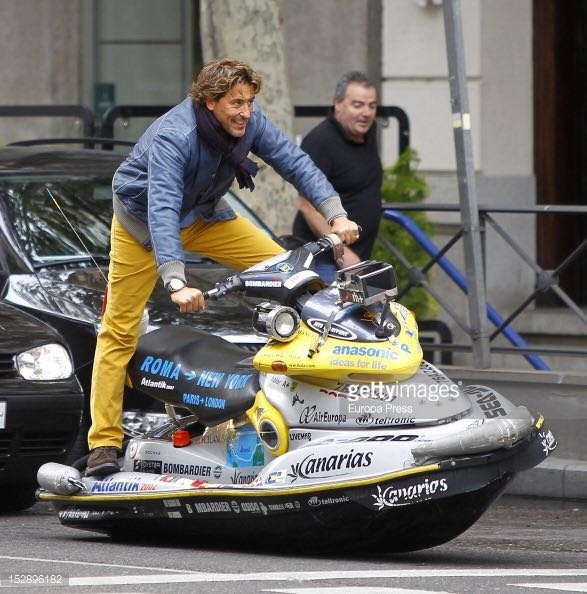 It is our duty to help and it is wonderful to know that the Swiss population is very generous” she concluded. In countries such as Nepal, an excess of water increasingly causes flooding and landslides, accompanied by disaster and destruction. At the same time, a lack of access to water forces people to walk for hours daily to fetch this vital resource, often a job left to children who then cannot go to school. And, a lack of clean water is far too often the cause of infectious diseases that in many cases result in death. 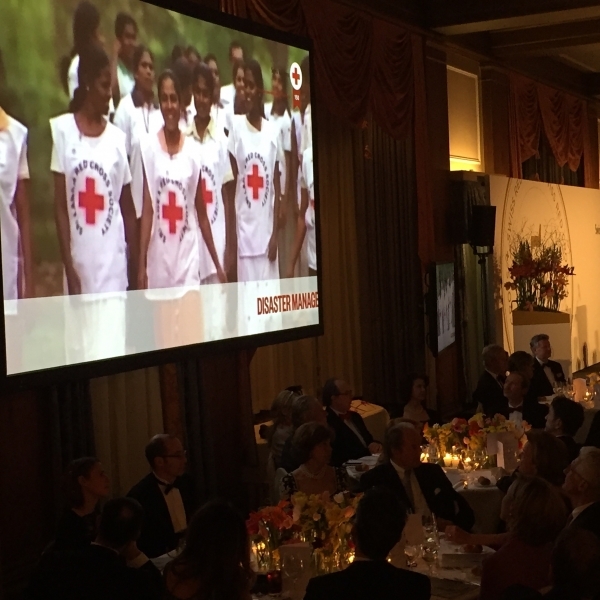 Talented Siro Barino, SRC’s head of the distinguished Gala Committee, echoed in his welcoming remarks the importance of the work of 70,000 volunteers and sponsors in the quest of humanitarian aide of the Red Cross. 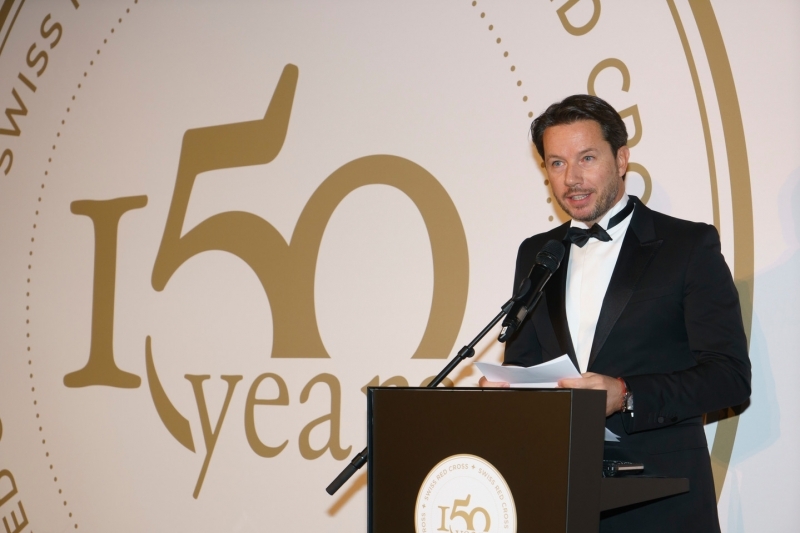 He acknowledged the evening’s main supporters such as Medica, represented by CEO Dr. Franz Käppeli, which is not only a partner in its traditional core business of laboratory diagnostics and other medical services, but carries the philosophy of the SRC with the slogan "For more humanity". 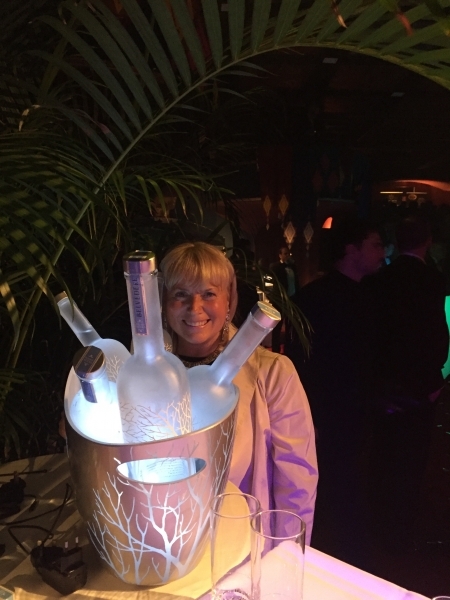 Kudos to Siro Baroni, Silvio Martin Staub and team and thank you for arranging such an amazing event for a fabulous cause! 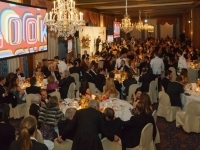 Other items up for auction were for example, a three-week trip to Antarctica, stays at many Leading Hotels of the World properties, among them, a 5 night stay at the superb, five star Suvretta Hotel St.Moritz. Roger Federer signed memorabilia, 3 water wells, or an exclusively designed BMW i3 which Siro Barino successfully auctioned off. 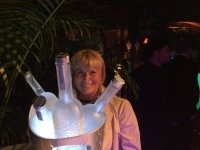 I was the proud and happy winner of a beautiful Magnum Bottle of Ruinart Blanc de Blanc; Ruinart, another supporter of this cause. 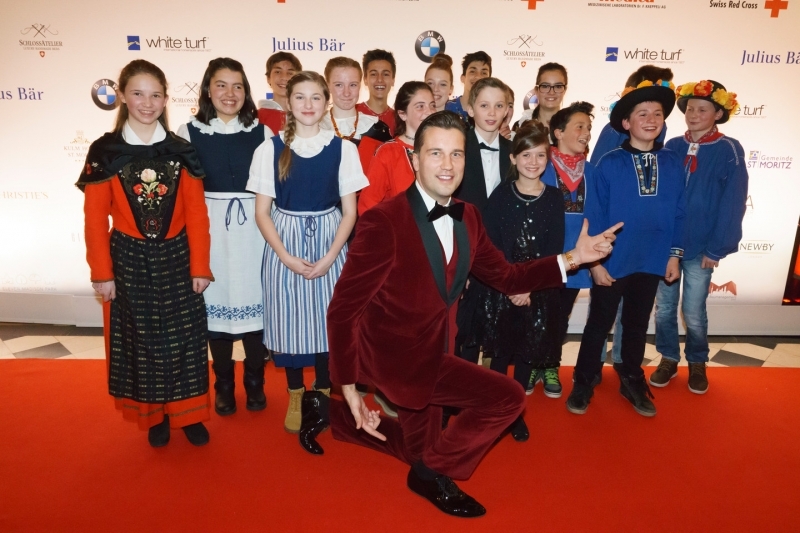 The hugely successful evening was continued with an avantgarde party, a cheerfully dancing crowd with star DJ Antoine who has done much good work fo the Swiss Red Cross. 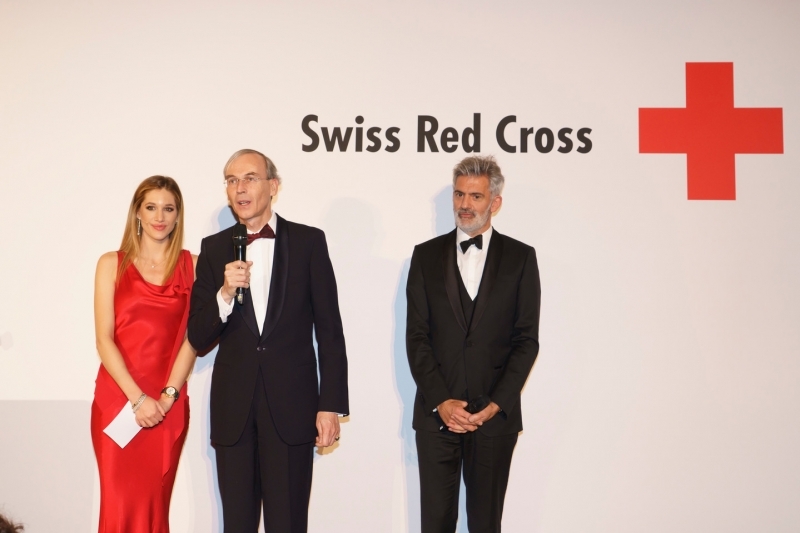 Perhaps the most meritorious performance that has ever emerged from small but formidable Switzerland, was the founding of the Red Cross. It is rooted here and has evolved mainly thanks to the "Spirit of Geneva" and the policy of neutrality. In 1895, after witnessing and being traumatized by the battle of Solferino, not far from Lake Garda , Henry Dunant called for a relief operation. He persuaded men and women from nearby Castiglione to help the wounded soldiers abandoned by their troops, regardless of whether they were French, Sardinian or Austrian. In 1866 the Swiss Red Cross became the 11th national society to answer Henry Dunant's call to action: to train volunteers in times of peace to treat the wounded in times of war. Disaster relief became one important core competence: the Swiss Red Cross had its first mission abroad in Messina in 1908. 'Swiss villages' were built as emergency shelters after the Italian earthquake. During the First World War millions died in battle and then the Spanish flu struck taking additional lives. It was an enormous challenge for the health service in Switzerland. 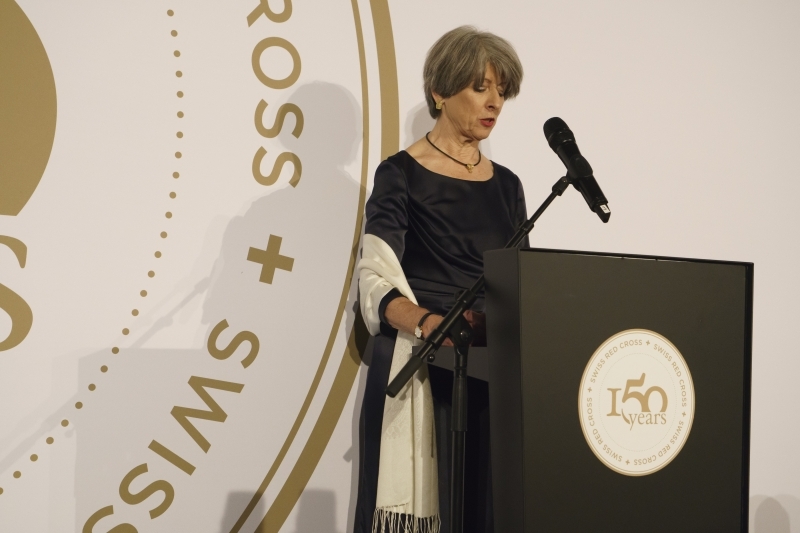 The SRC provided 750 nurses for hospitals and the medical services of the Swiss armed forces: 69 of them died during their mission. After the Second World War, the focus shifted more and more from helping the military to helping civilians. 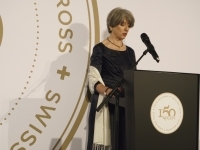 The SRC made a major contribution to setting up the healthcare and social services in Switzerland. 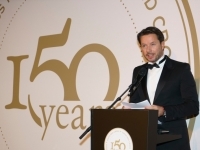 Preserving, promoting and restoring human health has now become one of the SRC's main tasks. Helping marginalized sections of the population to play an active role in society, whether or not they have a migrant background, is another. Tens of thousands of volunteers and staff work in the Swiss Samaritans, the Swiss Life-Saving Association, the Swiss Disaster Dogs Association REDOG, the Swiss Army Medical Corps, the Swiss Air-Rescue Association Rega, the cantonal associations and at SRC headquarters. 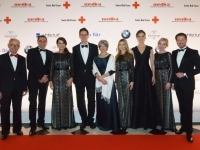 The Swiss Red Cross has grown into an impressive organization recognized far beyond Swiss borders. It reaches out to the poorest of the poor, helping when disasters strike. 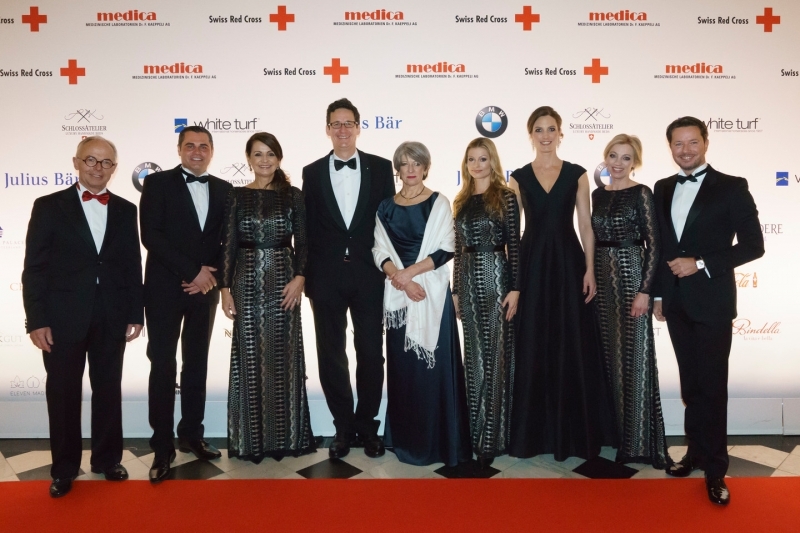 The St. Moritz Gala continued the tradition and spirit of helping humanity, sharing love and giving.